DESA’s Meeting Planner Earns Certified Government Meeting Professional Certification | DESA, Inc.
COLUMBIA, SC — Natoshia Drinkard, meeting planner at DESA, Inc., has recently earned the Certified Government Meeting Professional (CGMP) certification from the Society of Government Meeting Planning Professionals. Her new certification demonstrates her expertise in planning meetings and conferences that are governed by the rules and regulations of the federal government. Individuals who have earned the CGMP certification have obtained the highest designation available for government meeting professionals. To become a Certified Government Meeting Professional, an individual must have a passing score of 100 points of out a possible 120, covering 19 lesson plans on subjects like ethics, federal budget and appropriations, acquisition and contracting, federal travel regulations, RFPs, risk management and other meeting fundamentals. 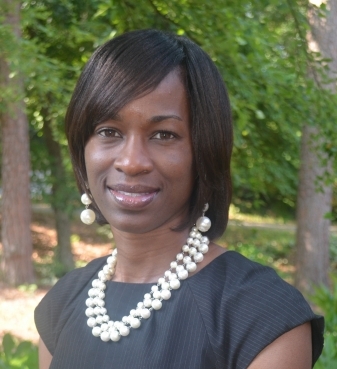 To congratulate Drinkard, contact her by email at ndrinkard@desainc.com or call (803) 743-1144. For more information on DESA’s conference and event management services, visit DESAInc.com.